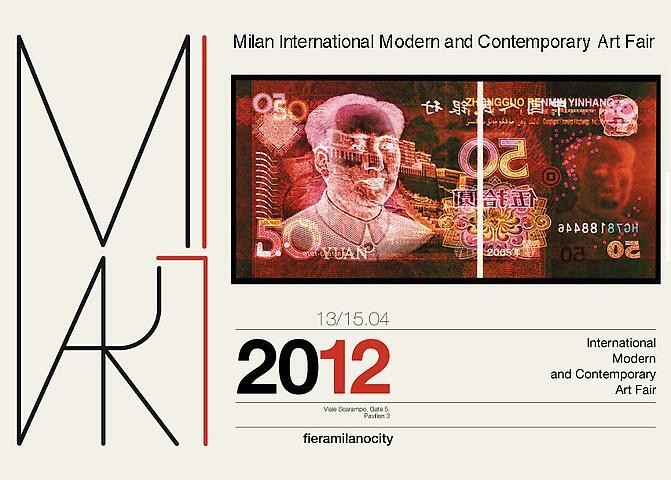 MiArt and Milan: MiArt, the International Modern and Contemporary fair witness the spirit of city that guests it, Milano. The heart of this country with its productive and creative personality, Milan for more than a century has been able to set the forms and the lines of the worlds of architecture, design and fashion; modernist and contemporary at the same time, this is the capital of the art market. Underline this dual soul is the mission of MiArt 2012: a fair where the modern and the contemporary are matched and merged together through continuous references and resemblance; MiArt 2012 will present the heart of this city to an international public, as well as to the invited collectors, through the exhibited art works, special projects and visits to unique places. Frank Boehm, the artistic director of the fair, in the definition of the sections underlines this characteristics and will highlight the value that private galleries have played in art development. Established, for galleries with a consolidated history concerning modern and contemporary art. Emergent, for galleries featuring cutting edge artists. Solo/Double, for galleries showcasing monographic exhibitions or comparisons between two artists from the past or from very recent times. Special Project, for galleries that want to develop curatorial projects intended for large areas. The new communication, studied by Federico Pepe, and the conference program, curated by Milovan Farronato, will accompanied and wrap the visitors in different disciplines and times.